"A lot of FUN, under the sun." 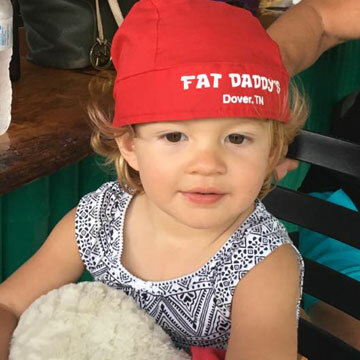 Fat Daddy's is the ultimate hot spot right on the water of Kentucky Lake in Dover Tennessee. 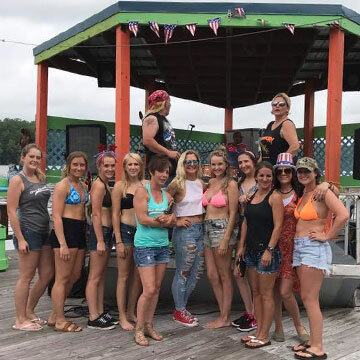 Whether traveling by boat, camper, RV, car or motorcycle, we offer plenty of fun and relaxation for everyone; children welcome. 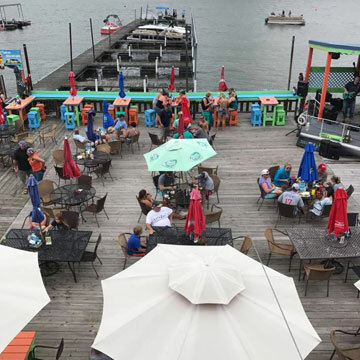 Enjoy cold beverages, delicious food, and live entertainment every weekend. Just visiting? Grab a cool T-shirt, gift or novelty in our store, right on the dock. We would love to have you visit and stay for a while - we have boat slips, camper/ RV sites and rental cabins (contact us for availability).